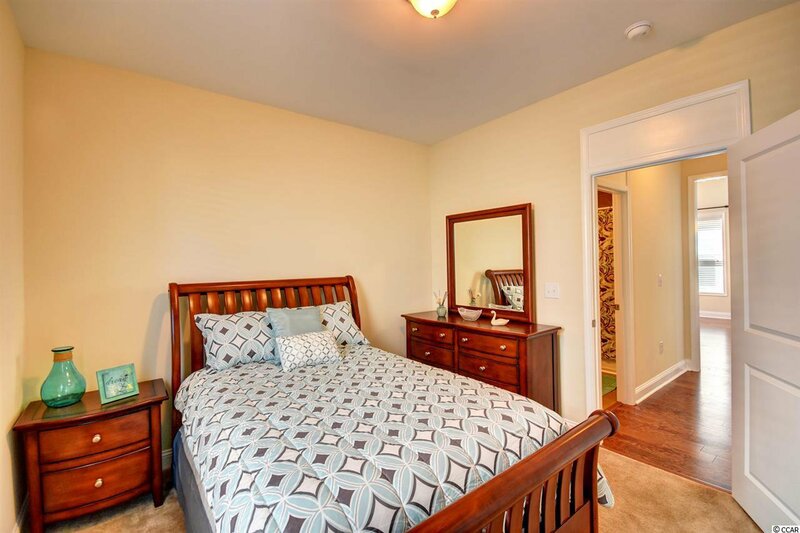 You haven’t LIVED until you have Experienced Market Common Living! 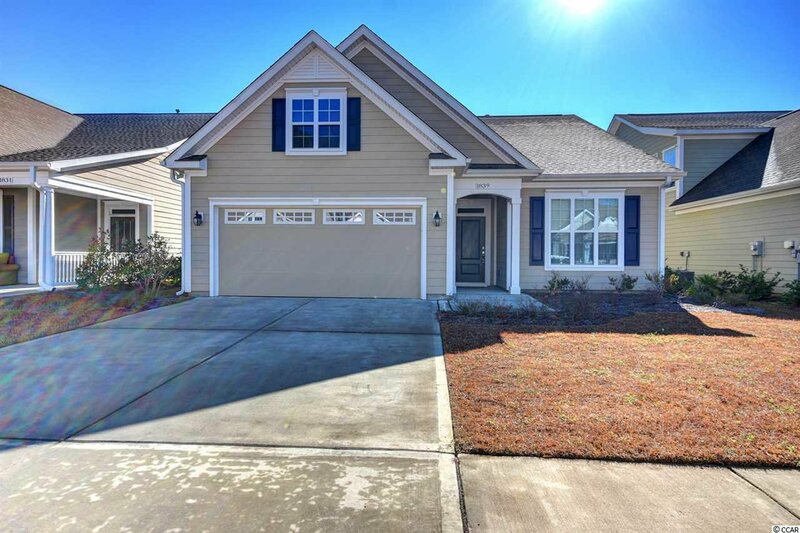 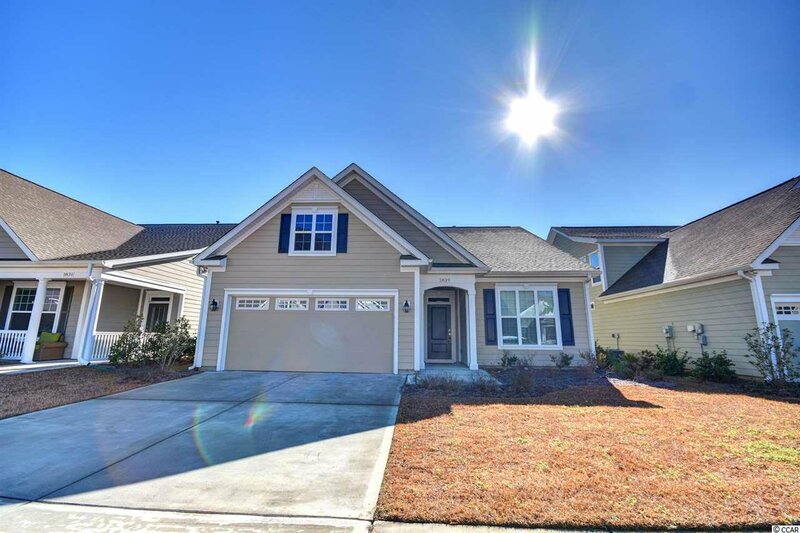 Passing through the neighborhood with inviting streetscapes and manicured landscaping you will pull up to this "Ashford Model" home with Wonderful Curb Appeal! 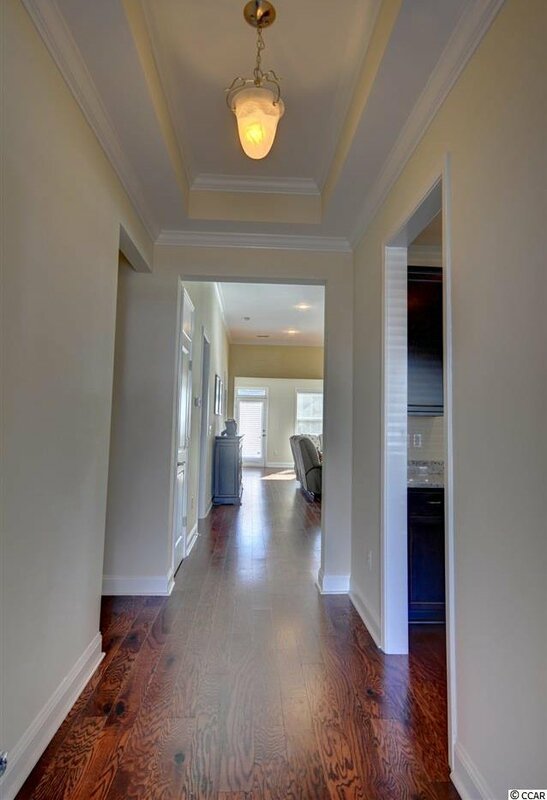 The minute you enter the home through the front door you can see through to the back door with this open concept. 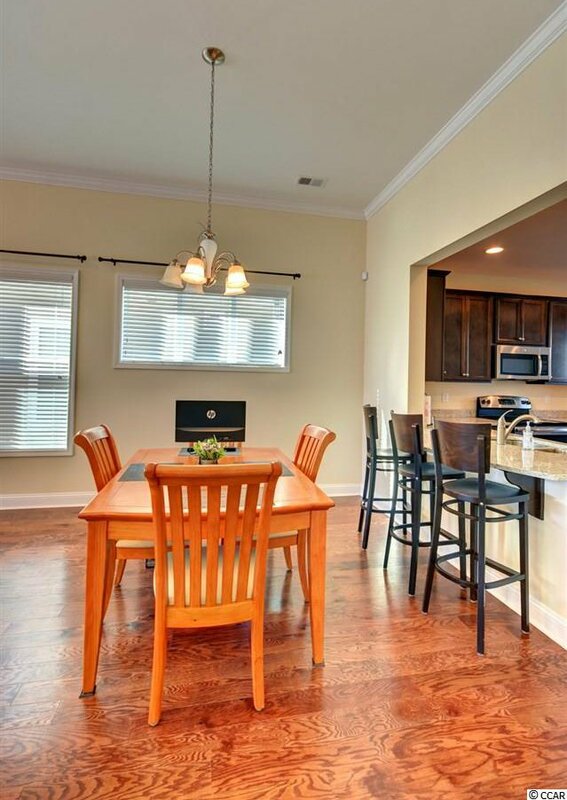 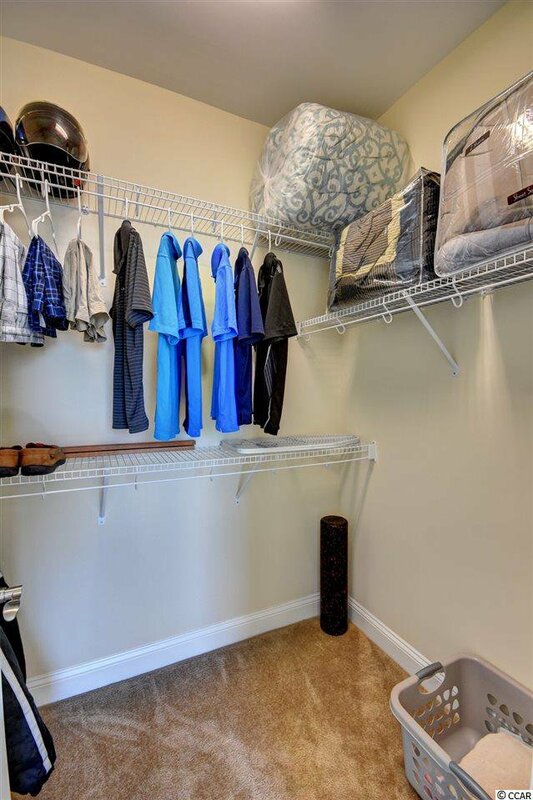 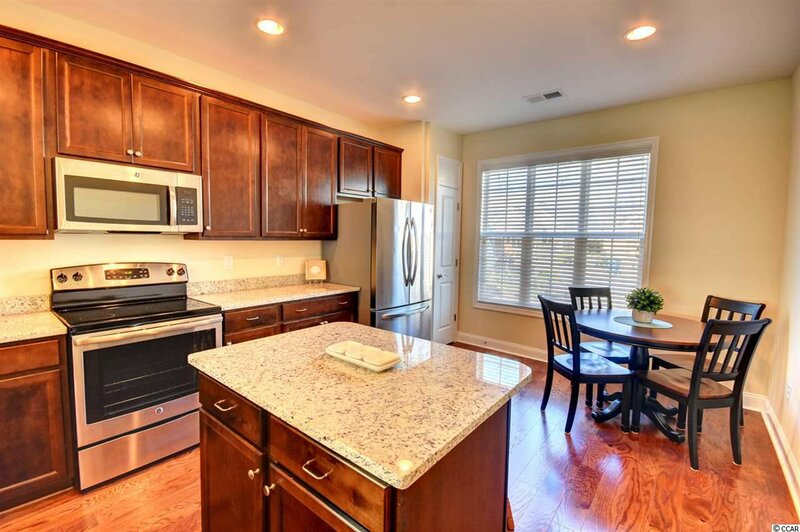 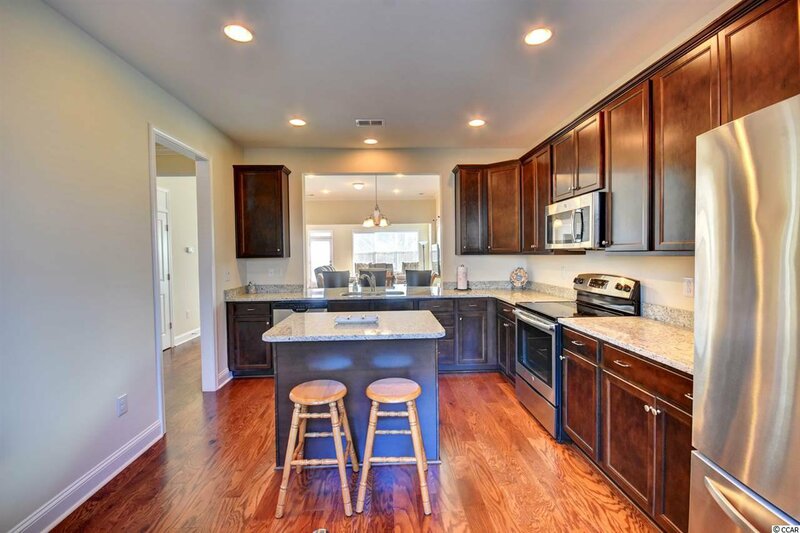 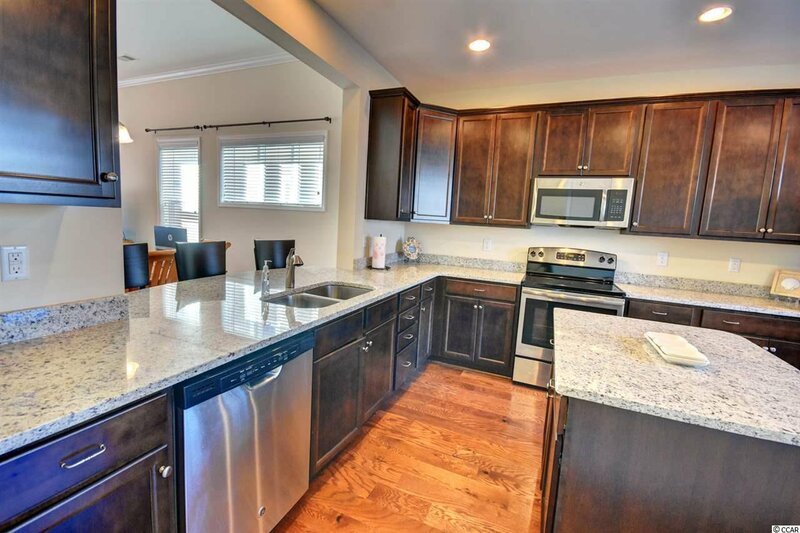 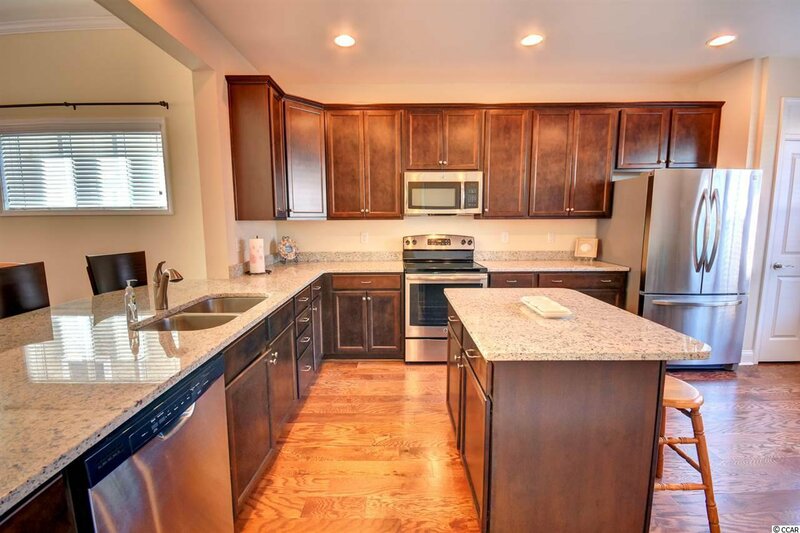 Off the foyer area you will find a state of the art, eat in, kitchen with granite countertops, stainless steel appliances, a pantry, and island area for extra dining and counter space. 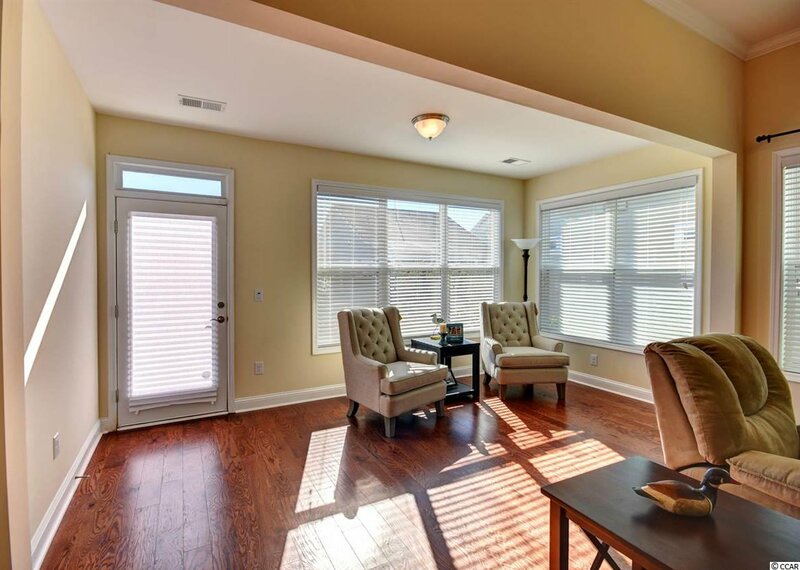 The extending living and dining areas are the perfect for entertaining your family and friends with an abundance of natural light flowing through the home with the windows along the rear and side of the home. 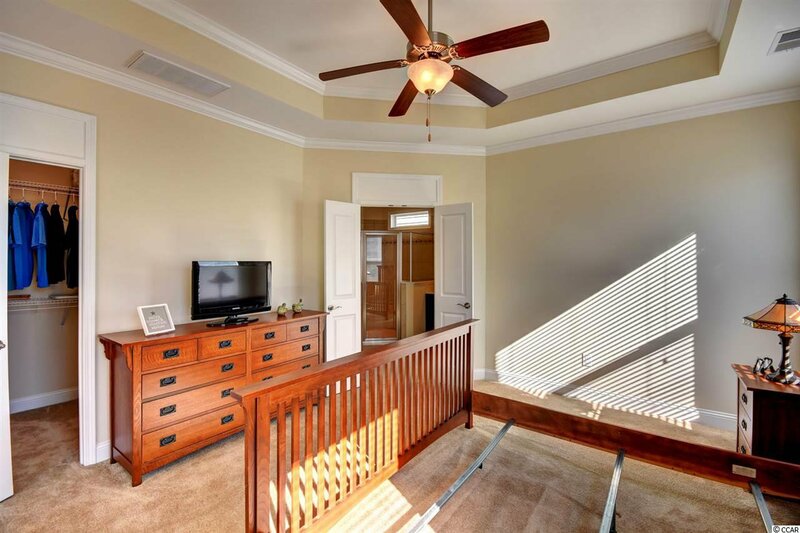 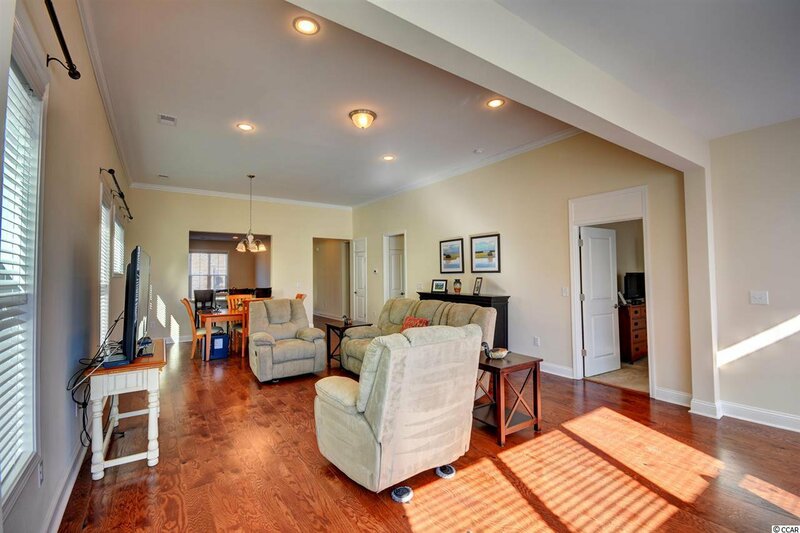 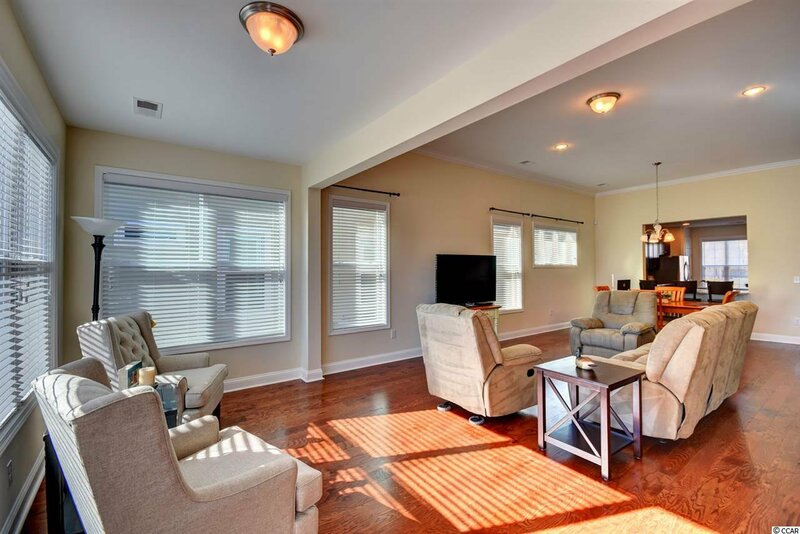 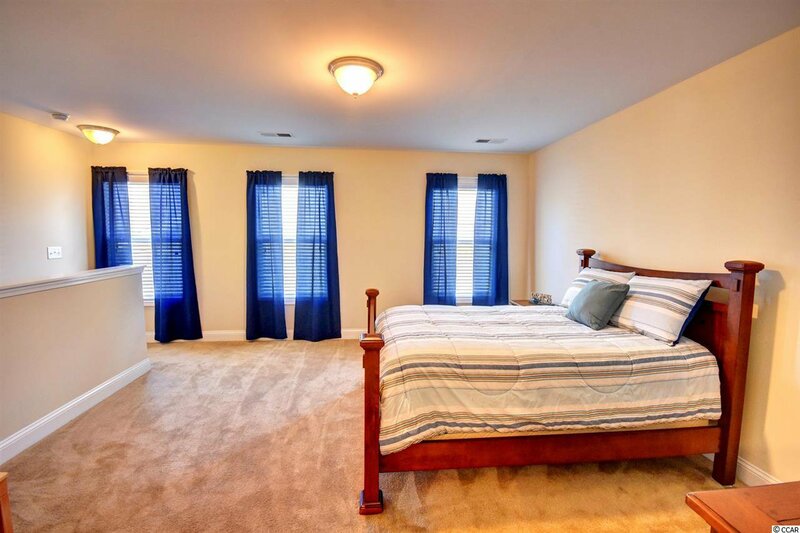 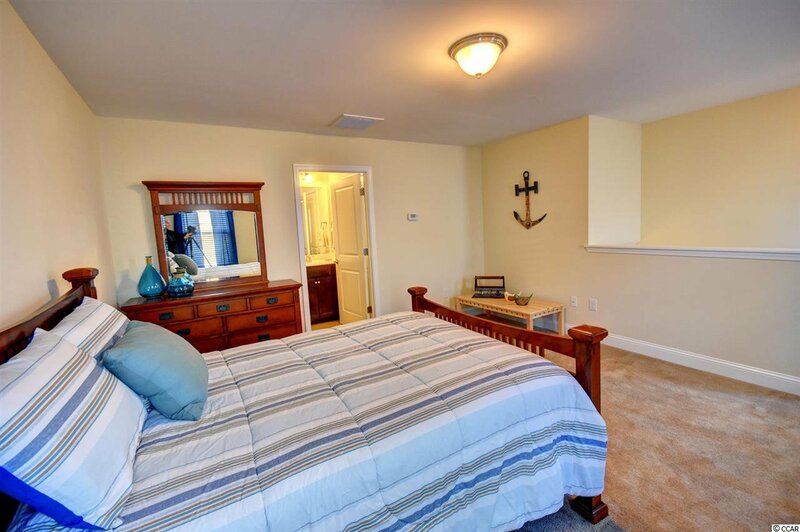 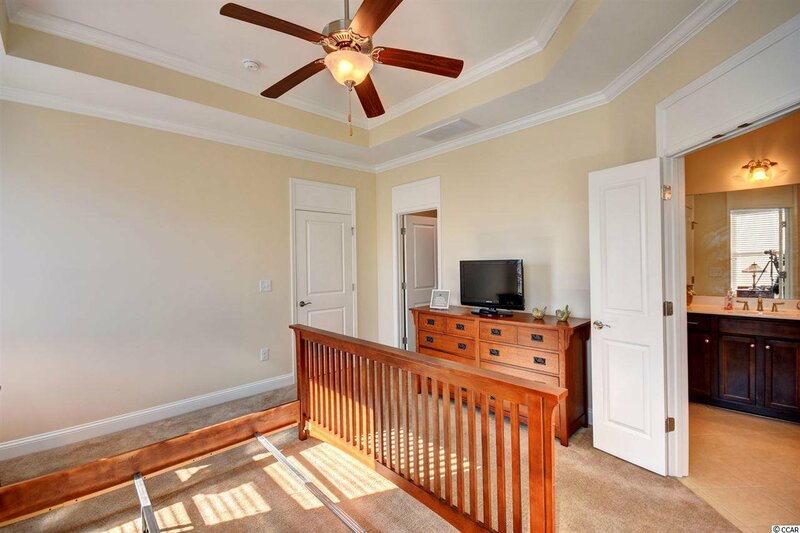 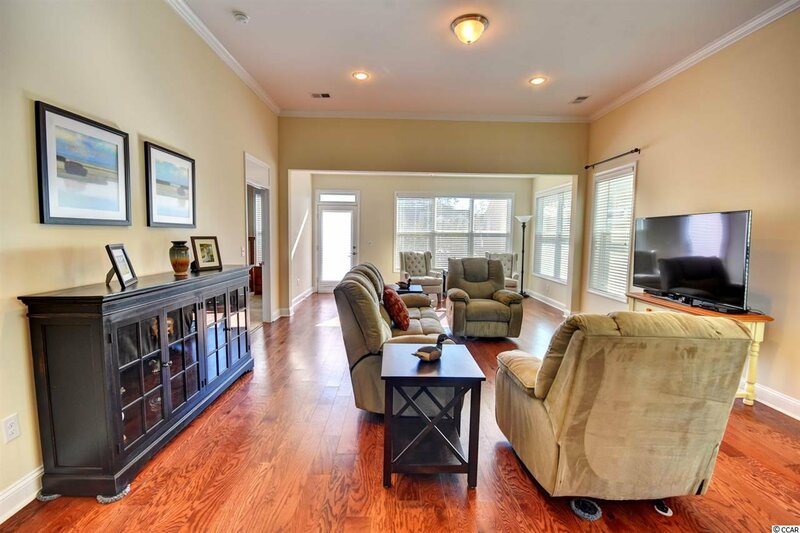 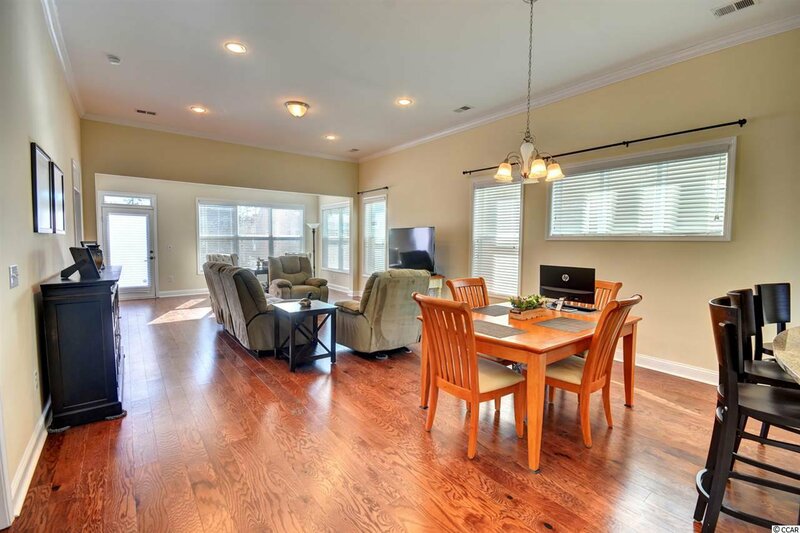 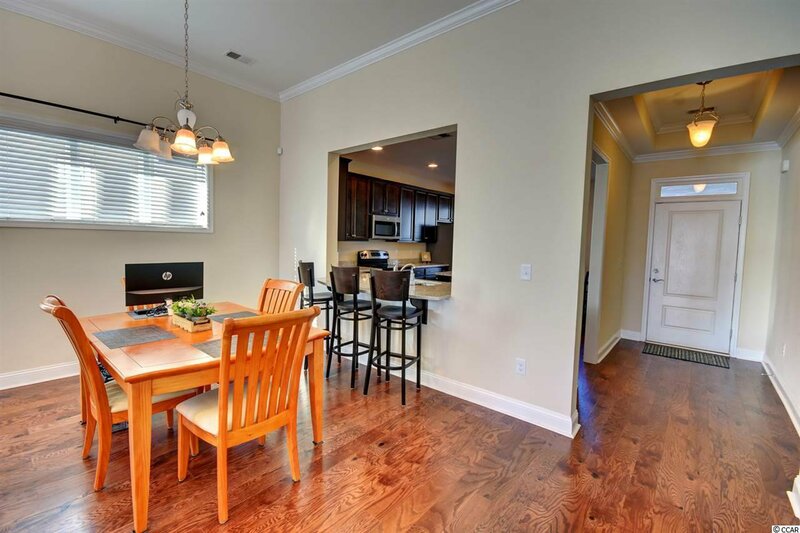 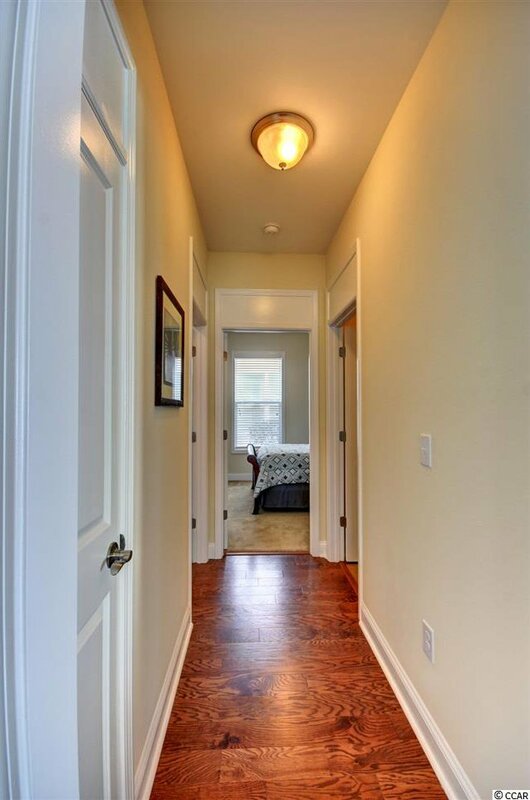 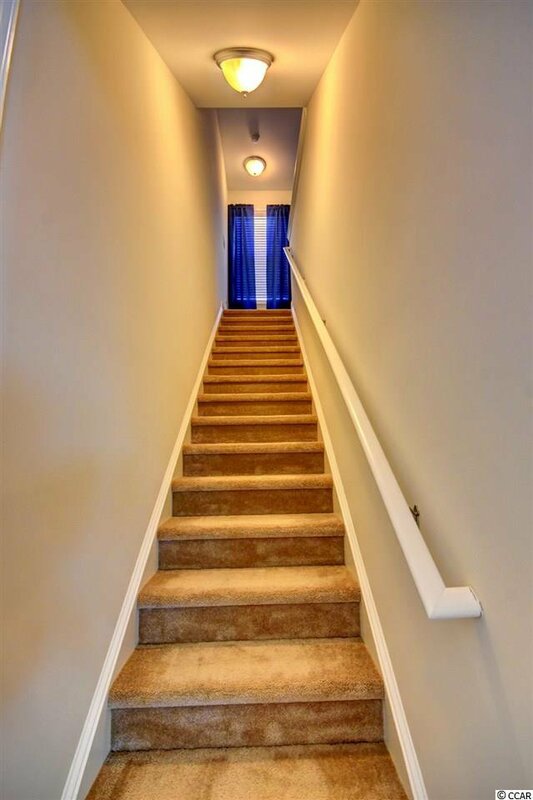 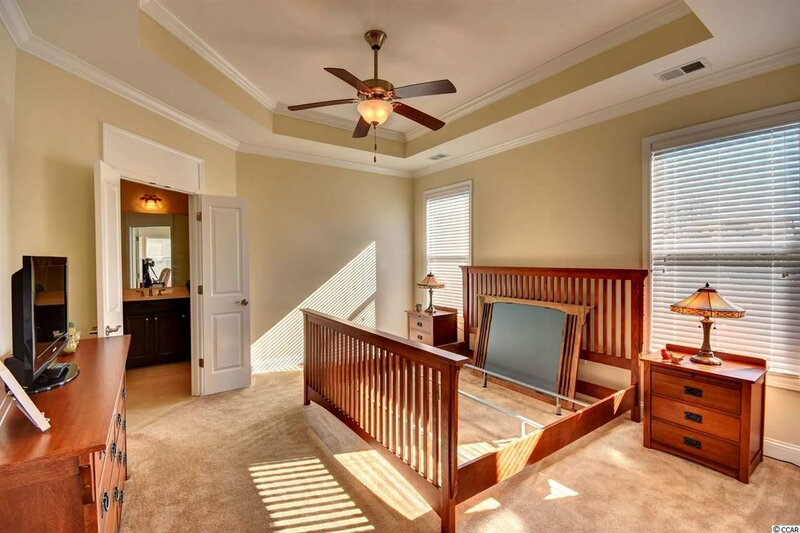 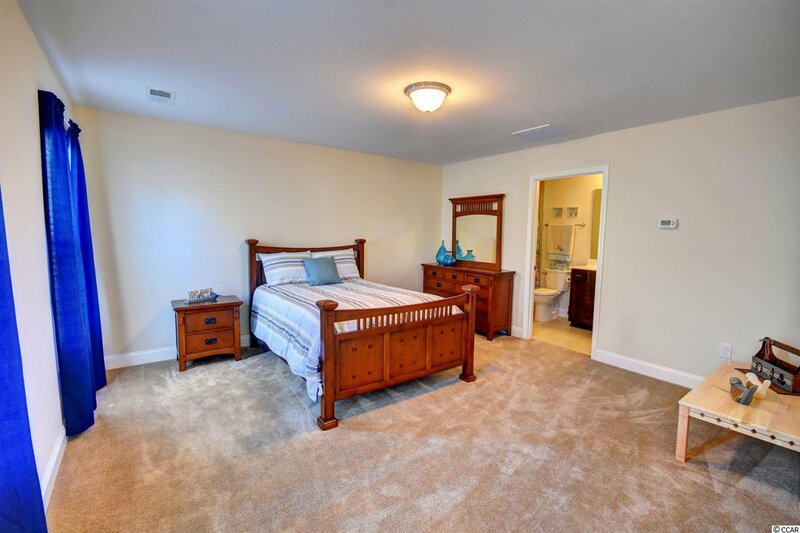 Throughout the home, you will find crown molding, hardwood flooring in the main areas, and carpeting in the three bedrooms. 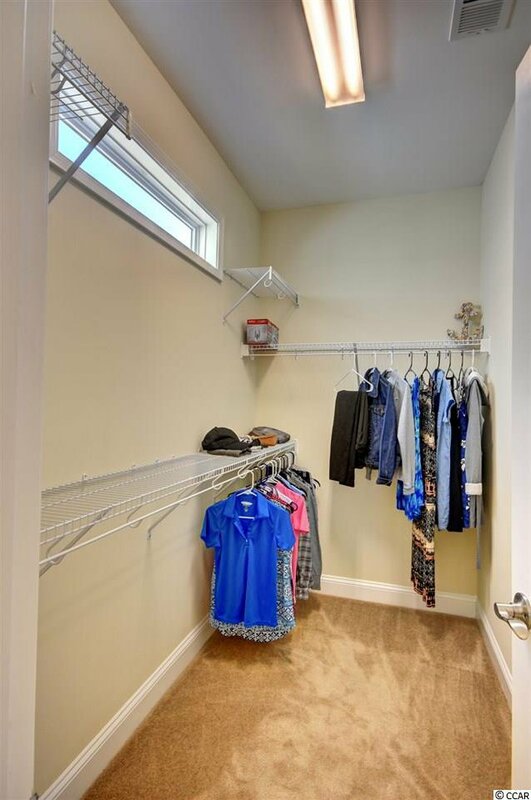 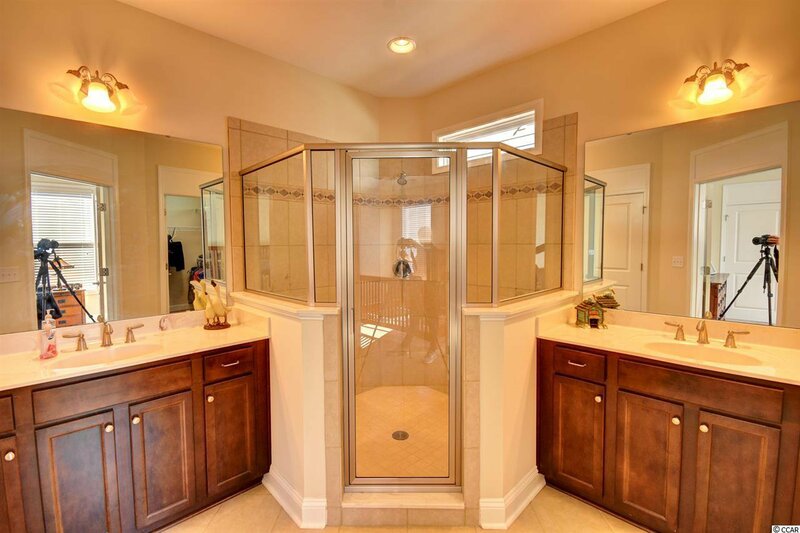 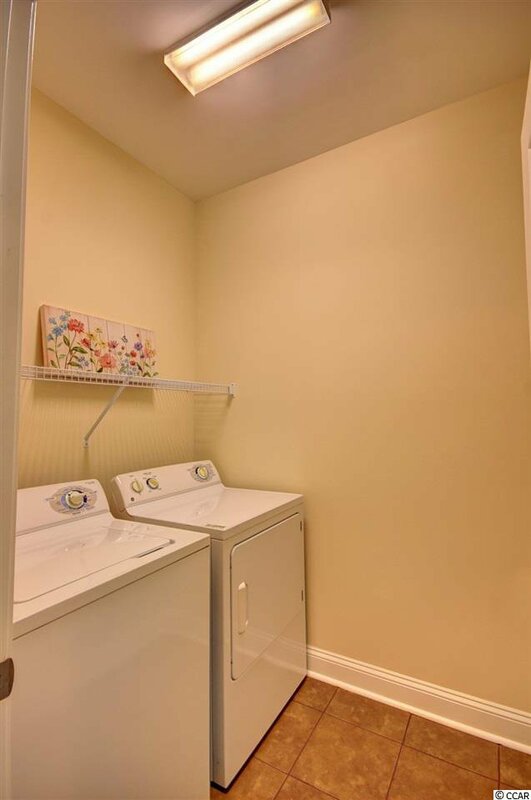 The master ensuite includes a tray ceiling, spacious walk in closet, a custom tile shower, and his and her elevated vanities. 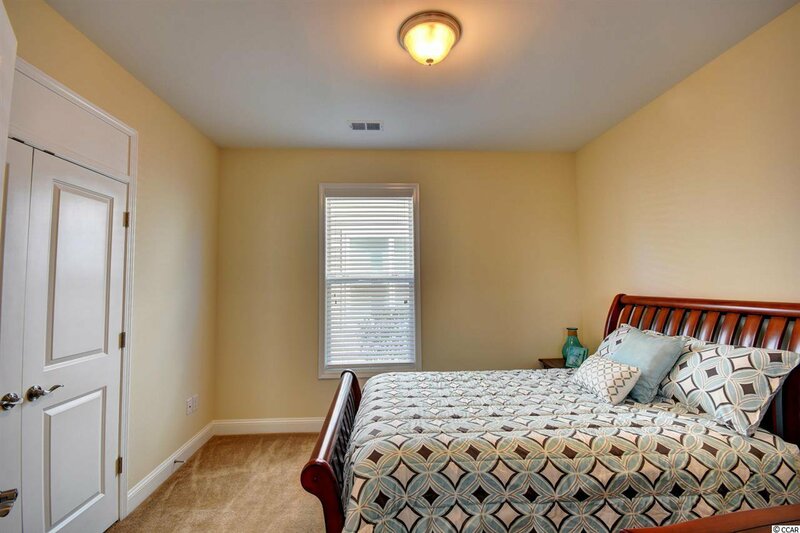 Your guests can utilize the upstairs suite while visiting for added privacy along with the second bedroom on the main level. 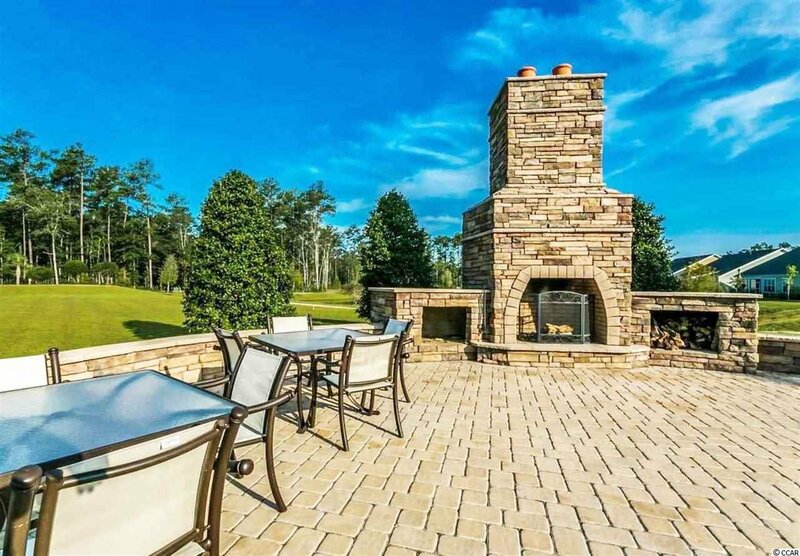 The back-yard patio area overlooks this nature-rich community making it an Amazing spot for entertaining guests and grilling. 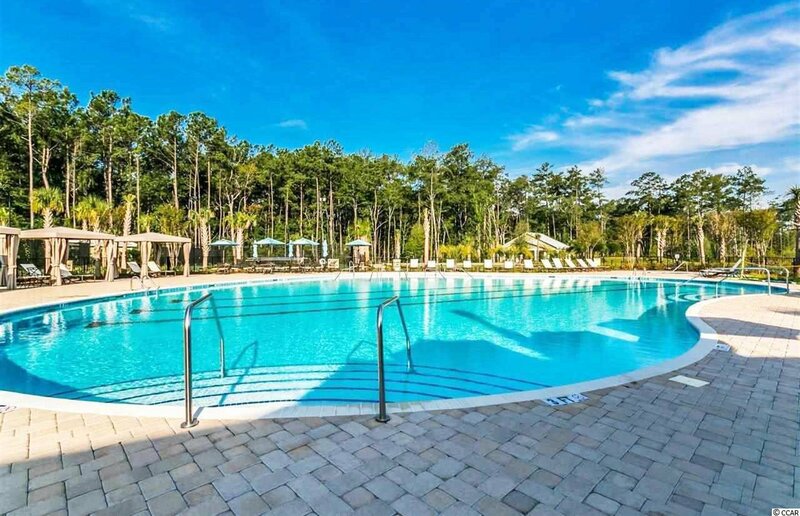 Cresswind offers gorgeous amenities to its’ owners and guests. 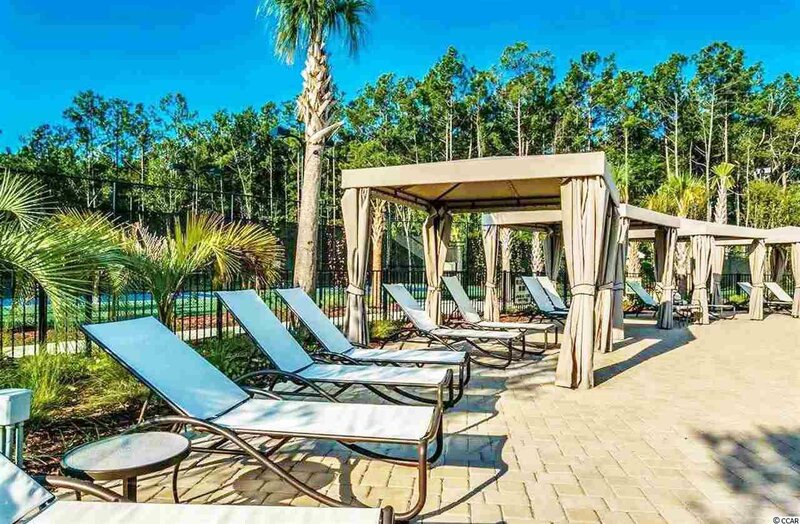 You can cool off in the community pool that features cabanas for escaping the sun and unwind by the outdoor fireplace while enjoying the sunset. 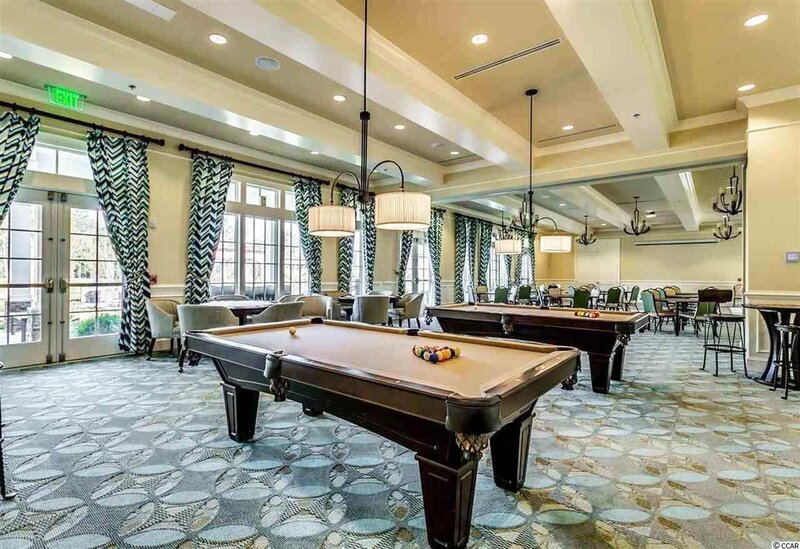 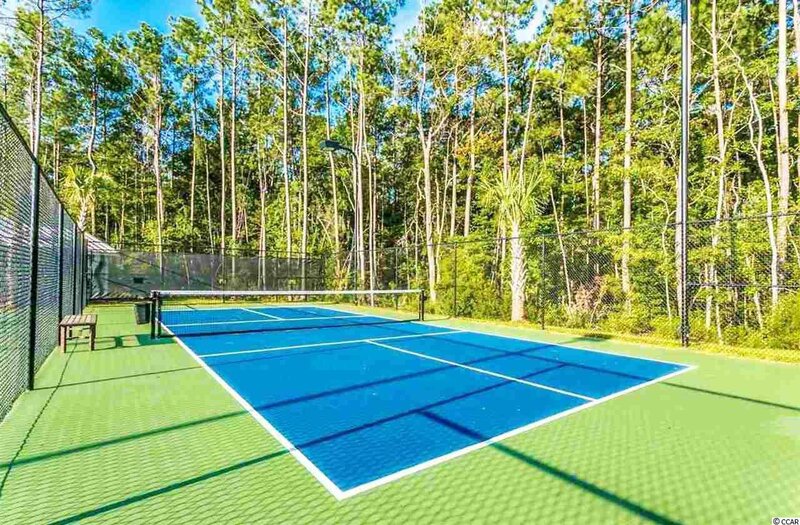 For the active lifestyles, you can play a game of pickle ball on the community court, explore the green pocket parks, or meander along the walking trails throughout Cresswind. 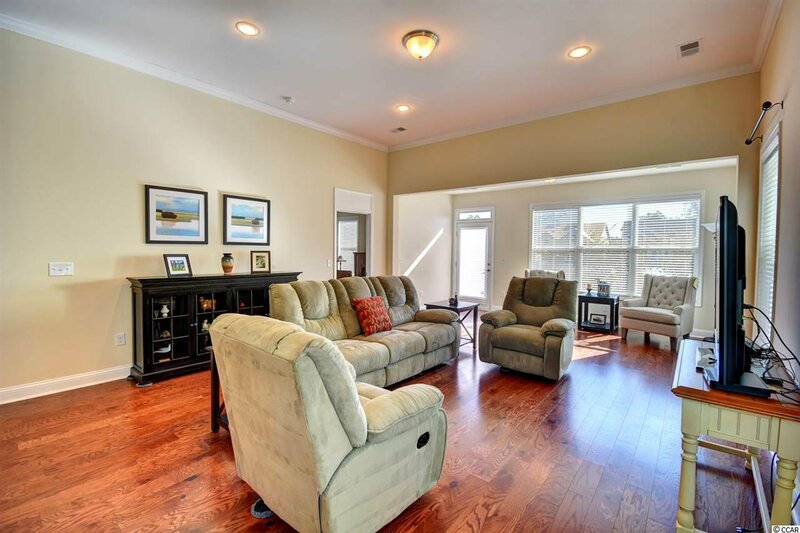 Make your appointment Today to View this Beautiful Home and Community that are just Minutes from area Beaches, Shopping, Dining, and Entertainment. 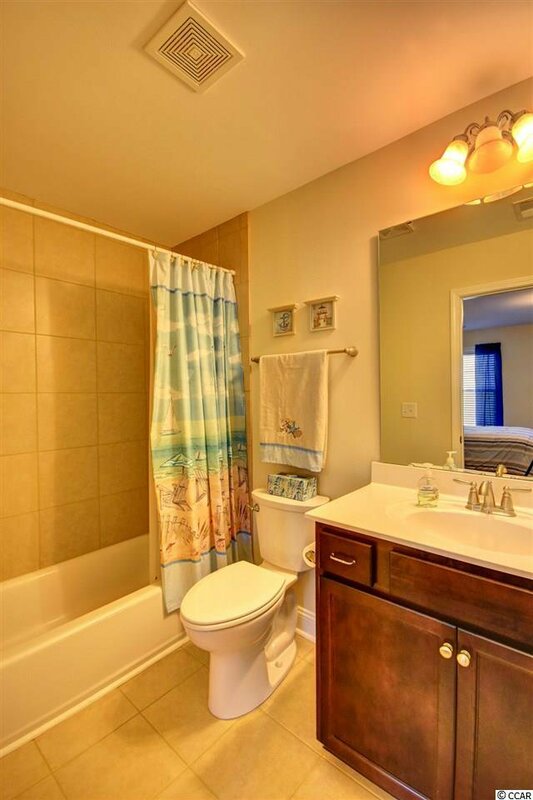 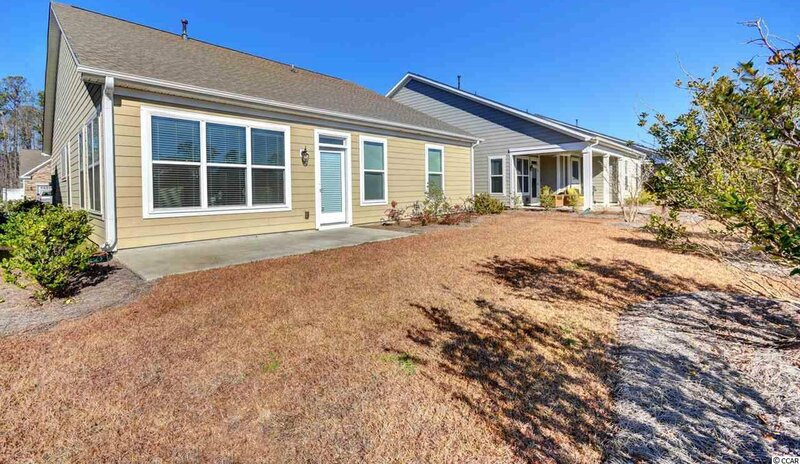 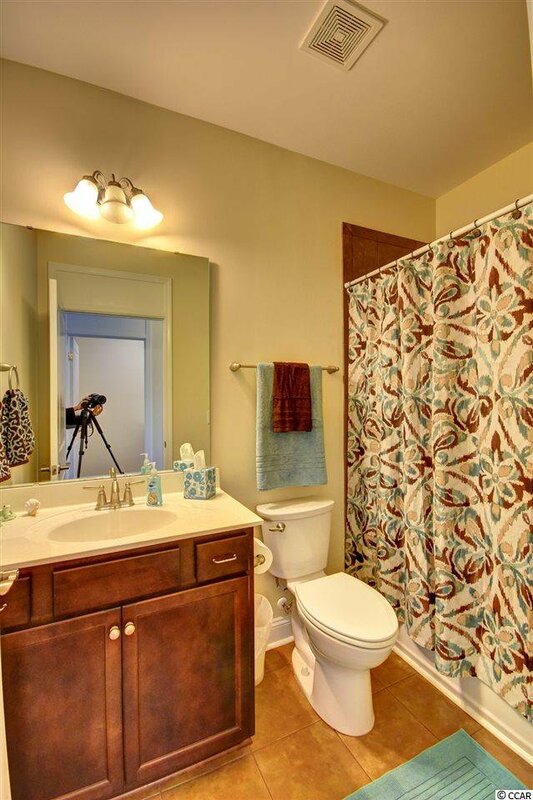 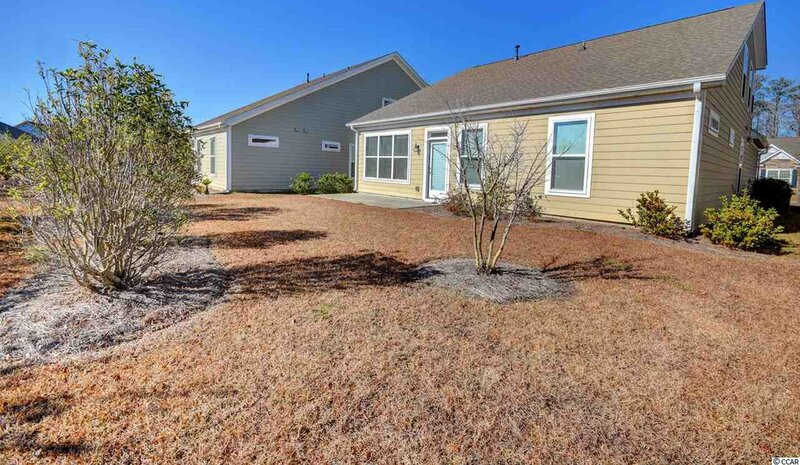 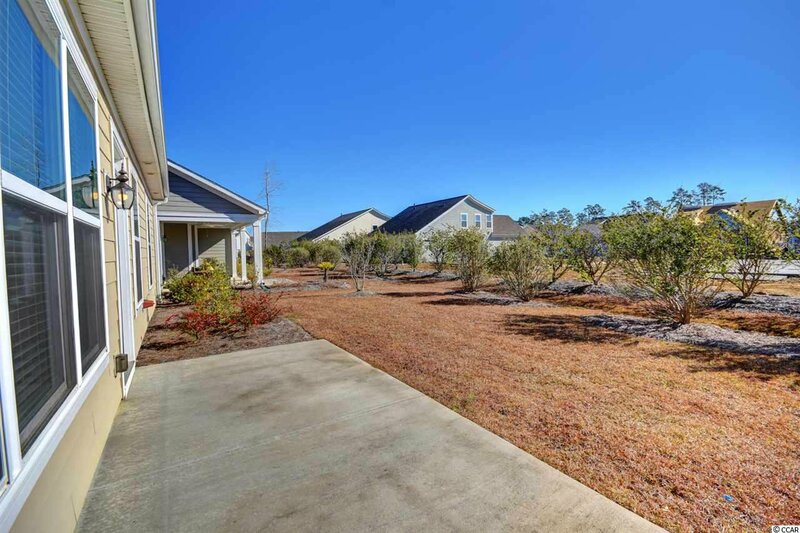 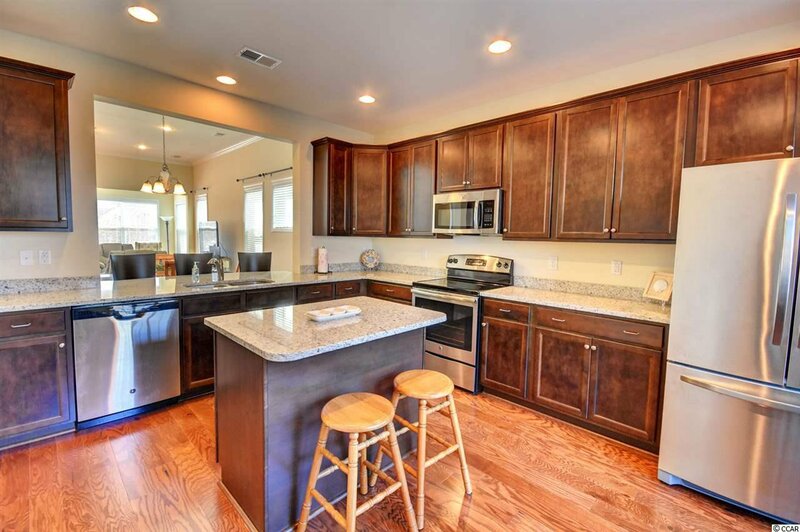 This Home and Community have Everything you Need at your Fingertips!